Dr. Jade De Guzman graduated the medical school from the David Geffen School of Medicine and did her internship at the UCSF – Fresno. She completed her residency program at the UCLA Medical Center and is now both specialized and board certified in diagnostic radiology. 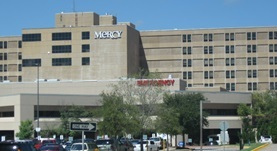 Dr. De Guzman has been in practice for more than 6 years and is affiliated with the Mercy Hospital. During her career, she has also published one writing of medical interest which is entitled “Breast magnetic resonance imaging for monitoring response to therapy”.